Going through the process of getting your Homeowner’s Association to approve your fence can be very rewarding when your fence is finally constructed. You’ve decided that you want a beautiful new fence for your home, you’re researching the best possible fencing materials for your needs, and Fido and the kids can’t wait to play outside. One problem—have you talked to your Homeowner’s Association yet? 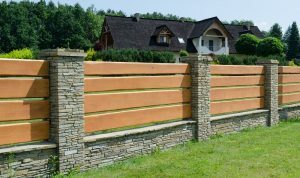 Getting your HOA to approve your fence can be one of the most time-consuming and headache-inducing parts of your residential fence installation experience. Here are some of our best tips for getting your HOA to say okay. How Long Does HOA Approval Take? If you have any neighbors who recently installed fences, ask them how long it took for the Homeowner’s Association to approve their fences. If you don’t, ask your HOA how far in advance you need to make your request. The amount of time required can be anywhere from 1-6 weeks. What Do HOAs Typically Restrict? The most common fence restrictions that Homeowner’s Associations have govern the materials that your fence is made from. Chain link fences, split rail fences, and wire containment fences are the most commonly restricted types. Unfortunately, many HOAs don’t find them aesthetically appealing (and could stand to read an article about chain link fence benefits). What Happens If I Ignore the Requirement? Homeowner’s Associations have a surprising amount of heft, so make sure that you don’t try to sneak your fence in—they’ll find out. If you install a fence without their approval, they can actually force you to tear it down and get approval before construction or charge you with serious fines. Many homeowners wait until it’s too late, so start early with the approval process and you won’t need to worry about how long it takes for your HOA to approve your fence. This entry was posted on Friday, March 10th, 2017 at 3:37 pm. Both comments and pings are currently closed.